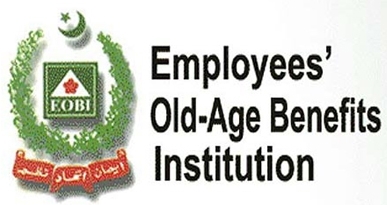 The Employees’ Old-Age Benefit Institution (EOBI) had invited applications from suitable candidates who posses the skills, knowledge and experience to fill the posts available in the institute. For this purpose, EOBI had given the responsibility of conducting a written test to National Testing Service (NTS) in order to make sure that only the most talented candidates can move further in the selection procedure. Hundreds of applications were received against each of the available post and all of those applicants had appeared in the written test in order to become eligible for the jobs. The phase-1 test has been conducted successfully by NTS and now the Phase-II test is going to be held on 28th and 29th June, 2014. For this purpose, the final list of candidates for 2nd level test has already been issued. Any candidate who scored less than 45% in officer category and 35% in staff category in 1st level test, has been eliminated from the further selection procedure and will not be allowed to appear in this 2nd level test. In order to help our visitors in preparing for Employees’ Old-Age Benefits Institution (EOBI) jobs NTS 2nd level Test in best possible way so that you can score high grades and move further in this selection procedure, above on this page we have provided several free online tests through which you can evaluate as well as improve your overall Preparation level for the actual written exam. Along with this, the complete paper pattern for each job can also be downloaded online through the link given above on this page.